Set of ten Christmas Ornament Scroll Saw Patterns. Folks if you plan to do any crafts shows this holiday season let me give you a tip. Always have Christmas ornaments for sale. Many times the ornaments can make the day for your sales. Market them as individually cut heirloom quality ornaments. To increase your profit stack cut when ever possible. If you can do a three at a time that's a huge increase in productivity and profit. Sell them individually and in sets. Give a small discount for the sets. 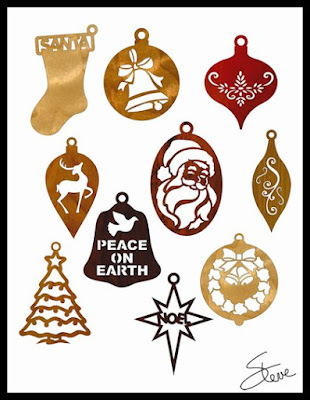 Pricing Christmas ornaments is dependent on many factors. Venue, quality of the cut, material used, time to cut and more. Let's say worse case is that each cut/finish takes you 1/2 hour. 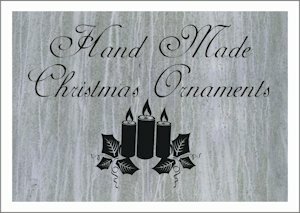 If you stack cut three at a time and charge $5 per ornament that's $30 per hour. 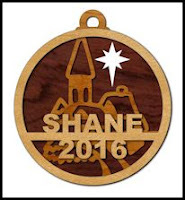 $3 per ornament comes to $18 per hour. Another tip is to display them as art. If you simply put them in a big box the customer perception of the work will be poor and your sales will suffer. Display a complete set as elegantly as you can. Have the rest of you inventory ready to box or already boxed. 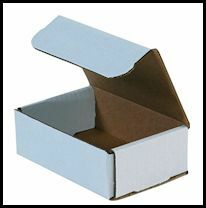 If you can find a good price on white cardboard boxes that really enhances the product. These boxes on Amazon work out to about $0.36 and look like they will work for individual or set of ornaments. They are 4" X 6" X 2". If you can find the boxes that are made for jewelry with the thinner cardboard those look better. Click the box to go to the link on Amazon. In the pattern book I also included a set of the labels below. Print them on a printer and glue them to the box for a nice presentation. Including the box and label obviously cuts into your profit but you are hoping the packaging increases your sales. Major companies have been using the technique of quality packaging to increase sales for years. Have you ever purchased an Apple product? They know that packaging improves their brand recognition and customer perception of quality. I often receive the question from the email newsletter subscribers asking how to get an old pattern. The email newsletter is simple a copy of the daily post from my blog. Everything from all the way back to May of 2007 is still available on the blogs website. Near the top of the blog are a series of buttons. One is the Pattern Catalog link. 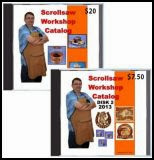 That link takes you to the free online catalog where you can browse and search for the patterns. There are also other resources on the blog that do not go out in the email Newsletter. It's can be helpful to occasionally visit the blog to see what's new. New veriosn of the $3 PDF Catalog is available. Now at version 4.0. The update of the $3 PDF catalog is now available. The current version is 4.0. If you previously purchased the $3 PDF catalog you can visit the download page and download the update. The link to the download page is on the program if you have the Windows version installed. You should have also bookmarked the download page previously as noted in the instructions. If you need help email me and I will answer as soon as possible. If you are using the Windows version it is best if you uninstall your current version first but it will work if you don't. If after you do the install it does not say version 4 at the bottom of the PDF then uninstall and reinstall with the current download. 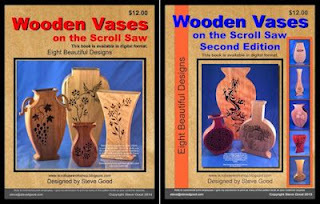 If you would like to order the PDF catalog the click this link. There is a video on the page explaining what this catalog is. It does not replace the free online catalog. This is just a supplement to that catalog.